The listed Hareeba Stakes is the other headline act, headlined by the likes of Manuel and Ashlor, as is the Mornington Guineas, where we have a raging favourite in Mr Quickie. There’s a nine-race card, and the bureau predicts a rainy afternoon with a top of thirty degrees. Whether you’re at the track or at home, hopefully I can find you a few winners! We kick off the day with a Benchmark 78 handicap over the mile. Pretty tricky race here, and I’ve found some value in the form of North Afrika. He doesn’t win out of turn, but I’m hoping his breakthrough win last start at Pakenham can springboard him to another here. He ran in a very strong Benchmark 70 behind Long Leaf and Social Spin a few months back, before chasing Judge O’Reilly home two starts back who nearly beat Stocktaka last start. He draws well from barrier four, and he’ll get the first crack at them in the straight. Esposito Gold looks a big danger. She’s awkwardly priced here, but her form has been good for this race. She beat Kardashing two starts back at the Valley, who won at the valley on Friday night, and then battled hard behind Winkelmann last start. She maps to get a lovely run to either lead or sit on the pace, and she’ll be hard to run down. Battlecamp is third pick. The track doesn’t really suit him, but his form behind Declarationofheart and All Hard Wood is brilliant for this race. If the back markers are running on, he’ll be hard to beat. Recommended bet: Something small each way on #12 North Afrika. We’ve got another Benchmark 78 handicap in the second, this time for the sprinters over 1000 meters. I think the $5.50 is good enough for me to be on the side of Miss Toorak Flyer. 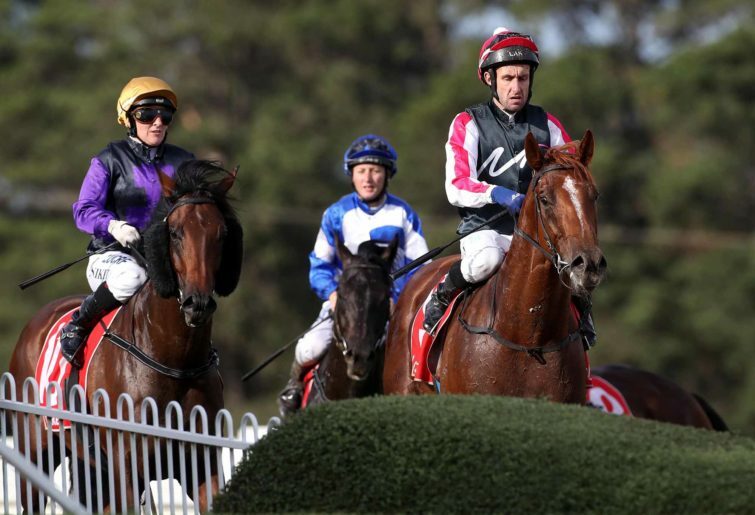 She is a backmarker, but she generally seems to go well around tight tracks, with a win at Cranbourne and multiple placings at Moonee Valley. Her last run at Flemington, where she was nosed out by Swift Sis, is a very good form line for this, considering Swift Sis backed that win up with another one last week at Flemington. The pace will be right on, with at least half the field wanting to lead, and she should be running over them late. Star Fall is the big threat. He failed last start, but his form before that, beating Mystyko by a length, and Exceltic by two lengths, is a good form line for this. He maps well to sit on the speed from barrier six, and he’ll run well. 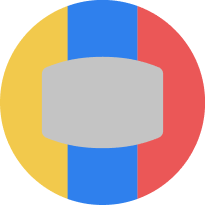 Redcore is the best of the rest. He’s recent form is good for this, beating Villa Srchi two starts back, before having excuses down the straight behind Superhard at Flemington. He’ll sit behind the leaders, and have the first crack at them in the straight. Recommended bet: Each way bet on #8 Miss Toorak Flyer. I sound like a tape recorder, but we have another Benchmark 78 handicap here, this time over 1200 meters. I’m pretty keen on Call It a Day here. He beat Black sail home last preparation, before being outclassed over the mile in a pretty smart Benchmark 96 behind eventual group one winner Manuel. 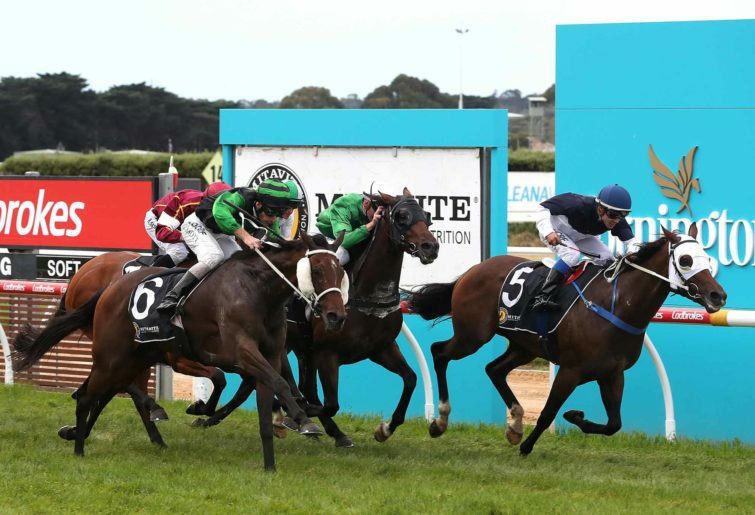 He’s second up after a good run fresh at Cranbourne, has never missed the top two from four starts at his home track, and he maps to get a perfect sit on the leaders in Island Daze and Lauchetti. Hard to beat. Island Daze is the big threat, but I couldn’t have her as short as $3. She won two in a row at Sandown and then Moonee Valley in impressive fashion, before falling behind a smart field at Flemington behind Swift Sis and Miss Toorak Flyer. She drops back in grade here and will likely lead, and take plenty of running down. Steel of Madrid is one at longer odds for the roughie punters. He fought hard behind Devil’s Rain at Sale, before closing off okay against Speilberg and Dental last start at Ballarat. He maps well to get a nice sit behind the leaders, and he’ll be running on strongly. Recommended bet: Sizeable each way bet on #3 Call It a Day. A benchmark 70 handicap for the Fillies and Mares is the next on the program over 1200 meters. She’s relatively short in the market but I’m prepared to take Music Bay at the $3. Her form last preparation, running four lengths behind Amphitrite in a Thousand Guineas is obviously a good form line for this, and she resumed well behind our Gladiator at Sandown where she was just out sprinted. She’ll appreciate the rise to 1200 meters today, maps well in the run, and with any improvement she’ll be very hard to beat here. I’ll be saving on Prahaar. She looks over the odds here. She resumed okay, coming home nicely behind Miss Vixen over 1000 meters, before going to 1200 at Echuca, where she looked the winner from a long way out. She’ll get a similar sort of run here, just behind the leaders, and a bold showing third up wouldn’t surprise. Private Lounge is the best of the rest. She ran well behind Khulaasa at the Valley second up, and could never get a run at them last start when it looked like she had plenty in the tank. The wide draw will allow her to sweep around them from back in the field if she’s good enough. Not out of it. Recommended bet: Win bet on #3 Music Bay, with a saver on #6 Prahaar. The Mornington Sires Produce is the fifth on the card, at set weights. Legionnaire shapes as one of the better value bets of the day here. He chased home Exter and Auxin on debut at Sale, and beat Ready set Sail home who went on to win a group three at Flemington last weekend. He had a ton of excuses last start at Ballarat, when he got checked badly turning into the straight, and then got held up at the 200-metre mark. He should be better for those two runs, and from barrier seven Jamie Mott will sit him on the speed, and he’ll have no excuses today. Really Discreet is the obvious threat. Her debut run over La Tene was one of the more impressive debuts you’ll ever see, but her run seemed to peak late at Flemington in the Sires Produce. There is some queries surrounding her on a tight track, and I just couldn’t take the $1.80 for her. Vinco is the best of the rest. He broke his maiden at Gawler two starts back, before running third behind the very smart Done By Me. He draws well and any improvement would see him feature here. Recommended bet: Each way bet on #3 Legionnare. A Benchmark 90 handicap over 2000 meters is the next assignment. Pretty average race here, but the favourite in Thunder Cloud looks hard to beat. He won well two starts back in this grade in front of the talented Antah, over a mile, and he had a tough run last start running three wide the trip. He only finished two lengths off them after that run, and if he gets even luck today, he shapes as the one to beat. Just not sure I can take the $2.70. Andrea Mantegna hasn’t been in the greatest form, but can change that today. He ran six lengths off Golden Authority in the Colcac Cup, before running third in the Edenhope Cup. He’ll get a nice run on the speed after crossing from barrier nine, and a strong showing wouldn’t surprise. Prince Ziggy is as honest as the day is long, winning or placing in each of his last eleven starts, culminating in a win in the Stony Creek Cup last start. He draws wide from barrier twelve which is a concern, and he’s awkwardly priced at $4.60, so we aren’t getting a price to find out if Lachlan King can get him into a nice spot. Recommended bet: #3 Andrea Mantegna looks the best value in this race, but I’d still be staying out of it. The feature of the day comes here in the seventh, which is of course the Mornington Cup, over 2400 meters under handicap conditions, where the lure for the winner, is that coveted spot in the Caulfield Cup. I’m prepared to spec Tarquin in a very open cup this year. He battled to finish fourth and two lengths off them in the Prelude, and then jumped awkwardly last start behind Hang Man, and was very strong to the line carrying 60 kilograms. Assuming he jumps better today, he should be able to get a nice sit on the leader who will ensure a decent tempo, and I think he should be around the $7 quote that Hang Man is. He can turn the tables. Stars of Carrum is the most talented horse in the race, but the query is out on whether this is just a tune up run for Sydney. He’s had excuses this preparation, running wide and not getting a run at them, and he looks like he will relish the step up to 2400 meters. He’s probably the only horse that could give the Caulfield Cup a fair shake if he wins. The favourite in Trap For Fools will bowl along in front and be able to dictate terms, but he has to carry a big weight today. If they allow him cheap sectionals throughout he’ll be hard to run down. 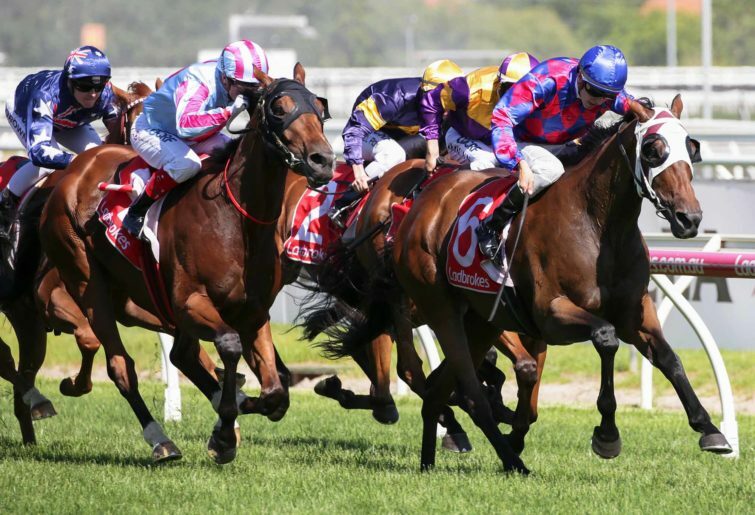 Recommended bet: Each way plays on both #6 Tarquin and #5 Stars of Carrum. The other headline act is the Hareeba Stakes at listed level over 1200 meters. I’m pretty keen on Manolo Blahniq here. His form this preparation has been good, winning the Chester Manifold after sitting three wide the trip, and then he was a certainty beaten in the John Dillon Stakes. He flashed home to finish second there, and the only query is that it’s been eight weeks between runs, due to him being scratched a few times due to wide barrier draws. They’ll go at a very strong pace up in front, with more than half the field being leaders, which will allow him to sit off them and run all over them in the straight. Hard to beat. Bel Sonic, if he gets a start will run well, and get a similar spot in the run to my on topper. The form behind Easy Eddie has been franked, and he was doing his best work through the line in the Oakleigh. Expect him to be charging home. Glenall is the best of the rest. Of all the leaders, he maps to get a good run from barrier two and not have to do any work, and he steps back in grade a fair bit from his last two runs. He’ll get a nice sit behind the tiring leaders, and with luck can run a very big race. Recommended bet: Win bet on #10 Manolo Blahniq. The lucky last on the program is the Mornington Guineas, over the mile for the three year olds. I think the top three in the market will fight it out, but with such a differing price on offer, I’m prepared to take the $6.50 for Star Missile. His form last preparation was solid, getting nosed out by Botti, before coming home nicely from well back in the Caulfield Classic. He resumed in a very powerful performance against Maliseet, where he was caught four wide with no cover, and still powered over them late on the slower part of the track. He won second up last preparation, and he’ll appreciate the rise to the mile. Looks overs considering the favourite is a $2 pop. The favourite in Mr Quickie is the obvious danger. He won four in a row last preparation, before resuming and beating two very smart ones in Age of Chivalry and Brilliant Choice over 1400 meters. He’s another who won second up last time in, and he draws well with the rise in distance to the mile. Good chance. Starouz is the best of the rest. He was outclassed by the likes of Age of Chivalry two starts back in the CS Hayes Stakes, before winning with ease in Adelaide a fortnight ago. He’ll sit a bit closer than the other two, which suits on this track. Recommended bet: Each way bet on #5 Star Missile, and having a fair go at #1 and #5 to run the quinella. BEST BET: Race 8 #10 Manolo Blahniq. SECOND BEST BET: Race 3 #3 Call It a Day. BEST VALUE: Race 5 #3 Legionnaire.